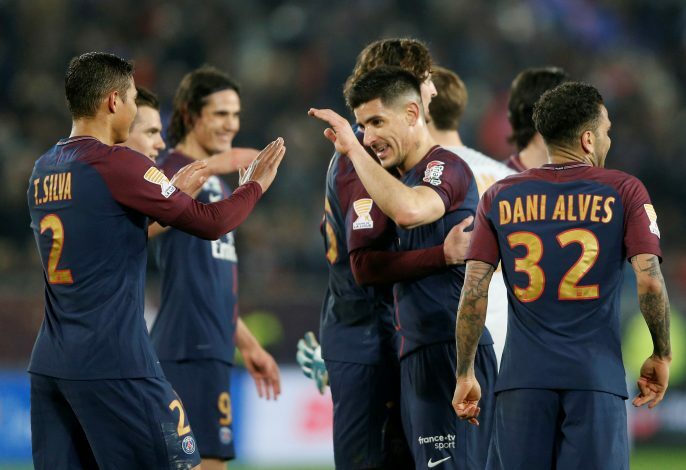 PSG suffered their first league defeat of the season at the hands of Lyon, who beat them 2-1 on Sunday. Amidst the stands during the game was Ole Gunnar Solskjaer, who had rushed to France immediately after Manchester United’s win over Leicester City in an attempt to scout their Champions League Round of 16 opponents. However, the Brazilian then went on to add that United need not get too happy about PSG’s setback. He stated: “Do not be worried about. Next Tuesday, in Manchester, it will be another competition, another environment, another atmosphere. However, in view of the present state of affairs, United will certainly fancy their chances. The club under Jose Mourinho seemed certain to be battered by the French giants. However, their present form will be a bringer of great confidence. In addition, the news that Neymar will miss both the legs of the Champions League draw due to injury, combined with PSG’s general injury line, will certainly not hurt their spirits.